Life has its ups and downs and a change is what we all are searching for from the routine. Our bathroom is an integral part of our homes and not until late our baths were not seen as an area of de-stressing and rejuvenating. 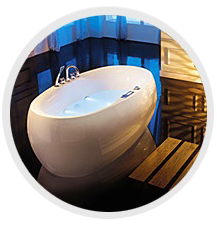 But now Vivendi has come up with a range of ideas providing you a new look to that neglected part of our homes. Take a peek into our website www.thevivendi.com and make that change in your lives, its well within your reach. Let Vivendi help you redefine yourself and your homes. Vivendi® specialises in luxury Spas, Swimming Spas. 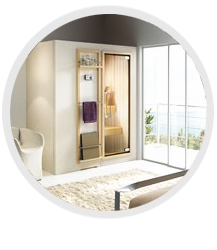 bathroom steam showers, steam shower cabins, home steam sauna rooms, infrared saunas and whirlpool baths. 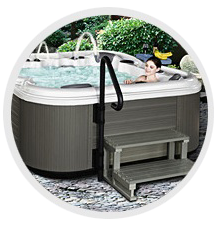 Vivendi has established itself as one of the leading Spa/Swimming Spa suppliers in the UK and Europe. 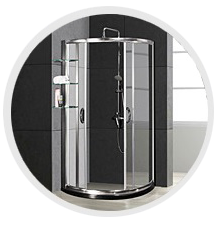 A combination of unrivalled product knowledge, friendly customer service and our exclusive product range makes Vivendi the first choice for customers.